That’s perfect. Because I’m about 99.999% sure I can’t be tempted to buy anything astrological anytime soon. OMG, this LeoNTP is pretty damn awesome! It’s a totally different machine compared to the TM2000A, which can only be used as an Ethernet timeserver, managed and monitored via web page. 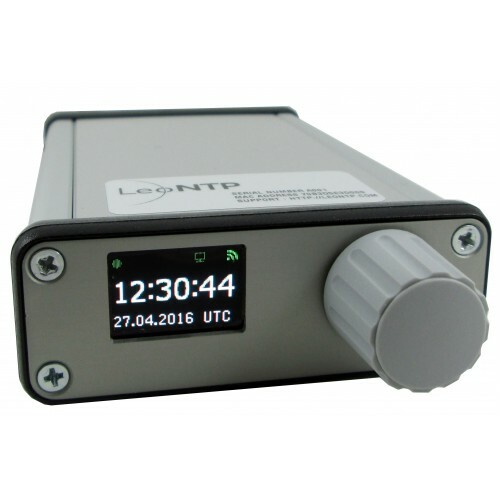 While the LeoNTP can also serve NTP over Ethernet, it’s easily managed and monitored via the display and control button/dial in the front and can be set to output 1pps, 1mhz, or 10mhz reference signals to other devices from the BNC in the back. 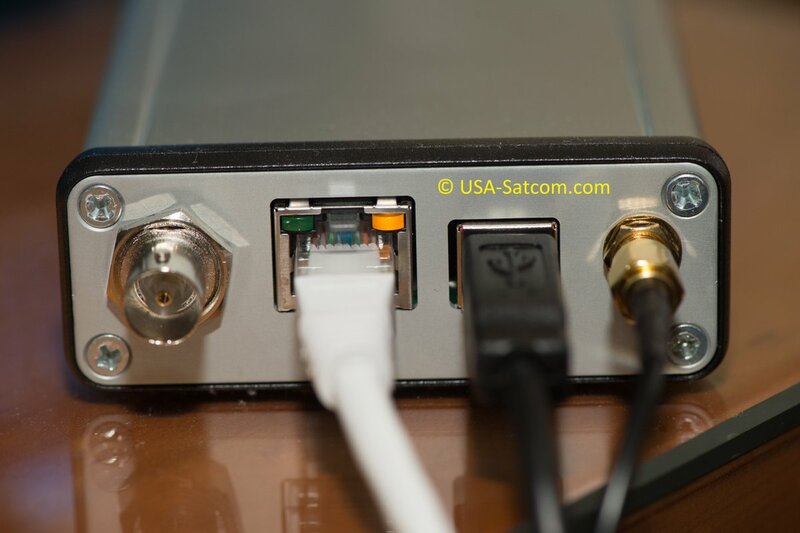 Power is via either USB or PoE and since it’s not running Linux on a single board computer, or heating up an oven, like the TM it’s incredibly fast to boot and lock GPS, literally seconds vs minutes, so using this much smaller device in the field should be a snap. Yeah, it doesn’t have the OCXO holdover stability or PTP capability, but who cares? This G-Shock appears to be back to normal. The battery indicator remains on H and it has been syncing on the same nights as the other watches. After reading the manual I even figured out that the weird "short" involving the LED is actually a feature, not a bug, one designed to turn on the light when it senses you've moved the watch to look at the time. It's off by default and I must have accidentally mashed the wrong combination of buttons around the time it started happening and now with the dead battery reset it's back off again. So, I guess, maybe this Tough Solar thing is actually pretty tough, after all. This LaCrosse UltrAtomic receives the newer phase-modulated enhanced WWVB broadcast signal and has two orthogonal antennas for more reliable reception in difficult environments. I've had it for a month now and finally today propagation deteriorated to the point where I was able to actually test the reception claims and get the UltrAtomic to sync when none of my watches or alarm clocks could. With the time change earlier this month I was also able to test one of the other features of the new WWVB signal, the ability to receive and store the switch back to standard time well before the actual date and then make the adjustment immediately at 2am. Between midnight and 2am all my other devices adjusted back one hour as they synchronized to WWVB on their normal schedule, but the UltrAtomic waited and then moved the hands forward 11 hours precisely at 2am. 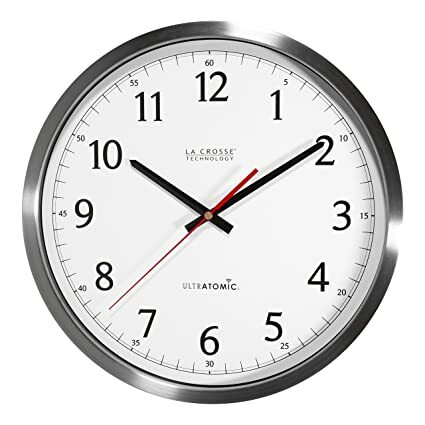 Apparently, according to this time nut, at the last leap second event the UltrAtomic handled the additional second perfectly, too. Also, unlike all my other radio controlled clocks, which take 1 or 2 AA cells, this one takes either 2 or 4 C cells, which is supposed to give it up to 7 year battery life. It's a really great clock. If WWVB survives and anyone's looking for a foolproof $50 analog clock it's worth a look. I've also been doing some slow motion video on my iPhone to compare the accuracy between the radio controlled devices and the two GPS disciplined NTP servers. When observing the visual and auditory Pulse Per Second outputs of all these devices they tend to appear to my senses to be in sync and I find it difficult to discriminate between differences less than a quarter second, especially when you can't easily overlap devices to observe the changes in both clocks with a single sense (ie. in real time you can't watch two second hands move on two different devices simultaneously, but you can watch the movement of one device and compare it to the tone emitted from another device). After recording several different events over the past couple weeks, I'm starting to see the following patterns between my devices. Using the LeoNTP display as the "gold standard" (which is complicated by the 240.2 fps rate of my iPhone catching only half of the LeoNTP's LED display with each frame) the UltrAtomic stays within 7 frames of the GPS device. Two old iPhones running different "atomic clock" apps synced with the local TM2000A NTP server display time 6 frames slower (always slower) than the LeoNTP. While my Casio MultiBand 6 watches have been up to 40 frames fast (they've all been fast, every time). The other alarm clocks I've compared are $20 Hito models that take 2xAA (one is solar assisted for prolonged battery life and runs in sunlight with the batteries removed, both are superb high-value clocks!) and they're accurate to within 40 frames of the LeoNTP. In all these slo-mo tests I've done the radio controlled devices had been successfully synced within 12-16 hours. I've been thinking about the margin of error with this slo-mo comparison technique and it has to be at least +/- 2 frames per observation, which at 4.163 milliseconds between frames is approaching 10ms. So, with up to a 40 frame difference, plus an additional couple frames, all these devices are less than 200ms from each other. Using the Emerald Sequoia Time app on my iPhone, which compares the system time obtained from my cell provider to the NTP pool, as well as to my local TM2000A server, I've found that the offset from some NTP pool servers can be as high as 100ms, but typically is less than 10ms. The local TM2000A's offset is typically better than the NTP pool by a factor of 10, so local GPS disciplined clocks definitely have an edge over internet time. Interestingly, my WiFi only iPad's system clock develops a 10 second offset within days of rebooting, according to the Time app, and there's no way to prompt iOS to sync its system time to NTP (other than hard reset) often enough to avoid this discrepancy. However, both my old cell-enabled iOS devices keep getting frequent system time updates despite no active cell service. Anyways, those are the data points I've obtained thus far. I was quite surprised to see how much better the UltrAtomic performed compared to my other WWVB devices. I'm not sure if this new phase-modulated signal is inherently more accurate in addition to being more reliable, whether the UltrAtomic's oscillator is better, or whether it's syncing multiple times per day. But, for whatever reason, it's almost as accurate as my iOS devices updating to a local GPS NTP server every couple minutes. That's pretty impressive! There are other folks just as concerned about accurate time sources disappearing. That's some great stuff! Karma for you. Uh oh, freelancer, we have something new coming down the line! Those gals and guys at the NIST are an impressive bunch.They already measure relativistic effects on the satellites, but doing it on surface of Earth, wowser. "Clocks with these accuracies would take longer than the age of the universe (13.8 billion years) to lose a second." Physicists have created atomic clocks so precise that they can measure deformations in spacetime itself, according to new research. We don’t all experience time passing equally—time passes more slowly closer to something massive’s gravitational pull, as famously theorized by Albert Einstein. And since gravity is typically interpreted as the way mass warps space itself, that means a precise-enough atomic clock could serve as a scientific tool for measuring how objects change the shape of their surrounding space. Oh man, you beat me to it! Accuracy of one billionth of a billionth (10-18)?!!! I guess this is where NIST’s been spending our tax dollars. Update: they received funding for 2019. That is good news. At least for the next... seven months. Listen only if you really have the time. I've been daily wearing a Casio with Bluetooth connectivity and it iis doing awesome. Have not been able to visibly tell difference between radio atomic, gps, and bluetooth synchronization. Casio nailed this technology. Upper end ones with tough solar and saphire crystals are just hitting market. 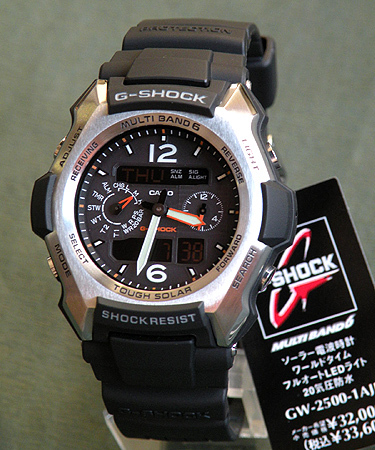 https://www.notebookcheck.net/Casio-announces-a-new-G-SHOCK-MT-G-connected-watch-with-Vibrant-Red-strap.418132.0.html Should trickle down over next few years.